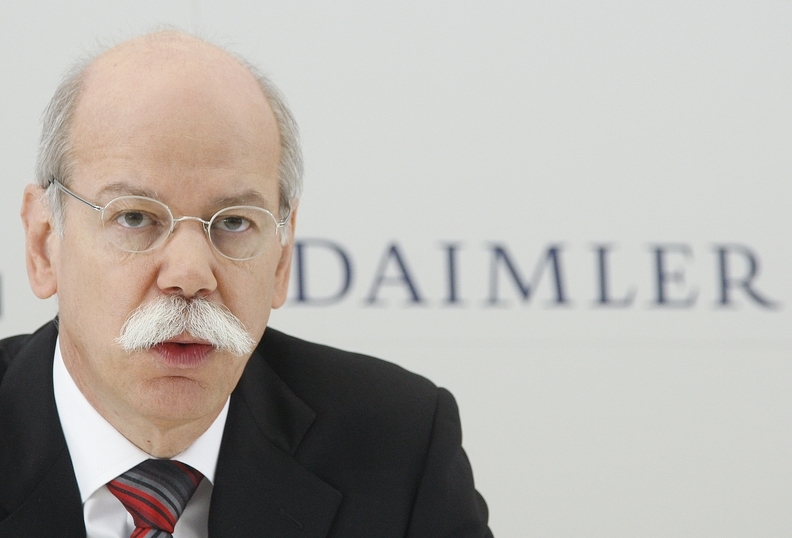 Zetsche wants Mercedes to become the world's most fuel-efficient premium carmaker. PARIS -- Daimler CEO Dieter Zetsche says he is ready to do the "previously unthinkable" at subsidiary Mercedes-Benz to help it meet its goal of becoming the world's most fuel-efficient premium carmaker. The Mercedes S-class luxury sedan will be sold with a four-cylinder engine for the first time in the flagship's 60-year history, Zetsche, who is also head of Mercedes-Benz Cars, said at the Paris auto show last week. "Some might call this sacrilege -- we call it progress," Zetsche told reporters at the press presentation of the S class. "We want to be efficiency world champions ... and we will be." Zetsche's words can be seen as a direct challenge to BMW CEO Norbert Reithofer, who aims to cut his three-brand automaking group's global fleet CO2 emissions by at least 25 percent by 2020. The BMW Group includes the BMW, Mini and Rolls-Royce brands. Automakers are under pressure to slash CO2 emissions ahead of tougher regulations set to take effect in Europe in 2012. Automakers are downsizing engines and adding technologies such as stop-start systems to make their models more fuel efficient. Zetsche did not give a specific target for the Mercedes car group, which also includes Smart and Maybach, nor did he say when he wants to be the world's most-efficient luxury brand. The S class's new engine is a 2.2-liter diesel that uses 5.7 liters of fuel per 100 kilometers and emits 149 grams of CO2 per kilometer. It is the same powerplant that already is used in some of Mercedes's C- and E-class cars. The new, greener S-class variant is available to order in Europe now with prices starting at 71,876 euros (about $98,320) in Germany.